Program 302 | Wisdom of the Elders, Inc. The first snow already whitened the upper Bitterroot Valley. A large band of Salish people were camped on their way to buffalo country. Families sat close to the lodge fires and talked quietly, ate boiled roots and chokecherry cake. Suddenly, a group of people on horseback emerged from the timber and stood an arrow’s shot from camp. Quickly, elders formed a delegation to greet the travelers. 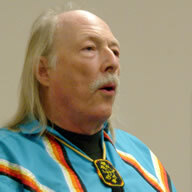 One of the elders, named Three Eagles, had been on the trail observing the travelers since morning. He was puzzled by their appearance. They wore no blankets even in the freezing weather. Perhaps they had been robbed by the Blackfeet. The elders decided to treat them as guests and help them on their way. 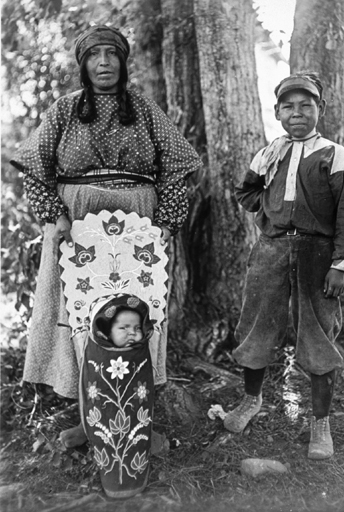 Salish Woman and Children. St. Ignatius Mission, Montana. 1924. Courtesy of the Library of Congress. In 1841, Jesuits built a mission in the Stevensville area and introduced the Salish people to the Catholic religion. Some say the Salish viewed the black robed priests as powerful men, and joined the church, hoping the new medicine would help them in their conflict with the Blackfeet. 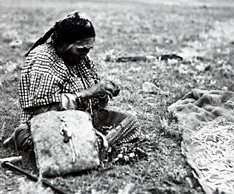 Today, a majority of the Salish, Kootenai and Pend d’Oreille people claim Catholicism as their religion, even though some still practice traditional Indian spirituality. On today’s Elder Wisdom, Brian Bull introduces Salish elder Frances Vanderberg, who shares stories of her life and faith. The Montana Salish people speak a dialect of the Salishan language family, which includes Bella Coola, and the Coastal and Interior Salish. In the past 200 years, the face of the American landscape has been dramatically changed by agriculture, cattle grazing, and the extraction of natural resources. 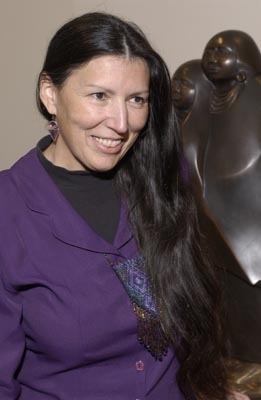 In today’s Sacred Landscape, Judy Bluehorse Skelton features native plant restoration programs, including the work of ethnobotanist, Joanne Big Crane, of the Confederated Salish and Kootenai Tribes in Montana. Louis Adams. Photo by Larry Johnson. Today, many families on the Flathead Indian Reservation continue to practice the age-old ceremony of the sweat lodge. Although some Salish families have been devout Catholics for generations, the sweat lodge is still a sacred place in which to pray to the creator. 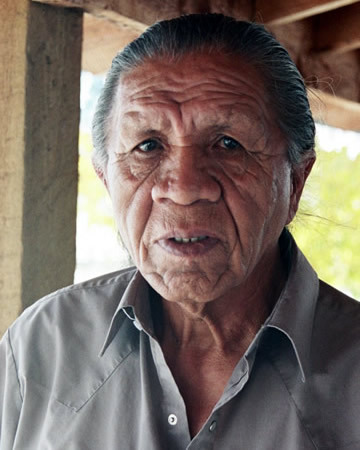 On today’s Tribal Rhythms, Nico Wind introduces us to Salish elder Louis Adams, who has maintained his ancestors’ sweat lodge traditions for future generations. One in seven Native Americans suffer from type II diabetes. In response to this epidemic, there is a groundswell of support from native health professionals, herbalists and traditional healers supporting the recovery of good health to diabetics. 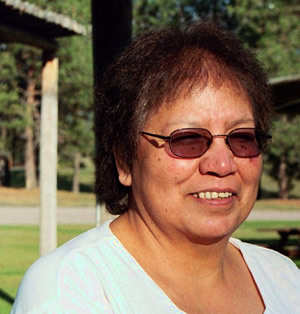 In today’s Health and Healing, Rose High Bear introduces us to a person who has met the challenge of diabetes and shares her experiences.